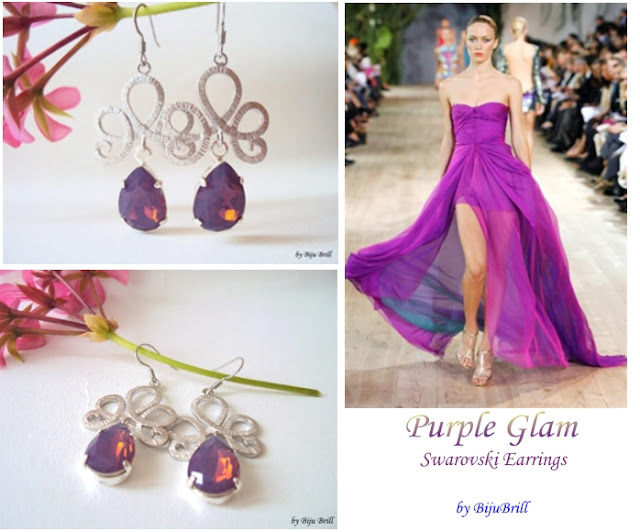 Purple Glam Swarovski Sterling Silver Earrings - SOLD! HOW TO WEAR: O rochie superba Emanuel Ungaro. HOW TO WEAR: With a beautiful violet dress by Emanuel Ungaro. A very fun and feminine leather bib necklace, made with red, ivory-cream and white flowers, embellished with Swarovski crystals and Czech crystals. Each leather flowers is hand cut, glued and sewn for strength. 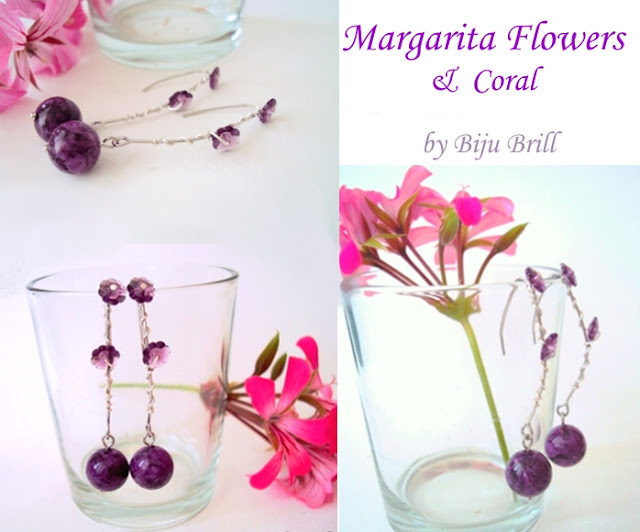 It is very versatile and can be worn around the neck in many ways. 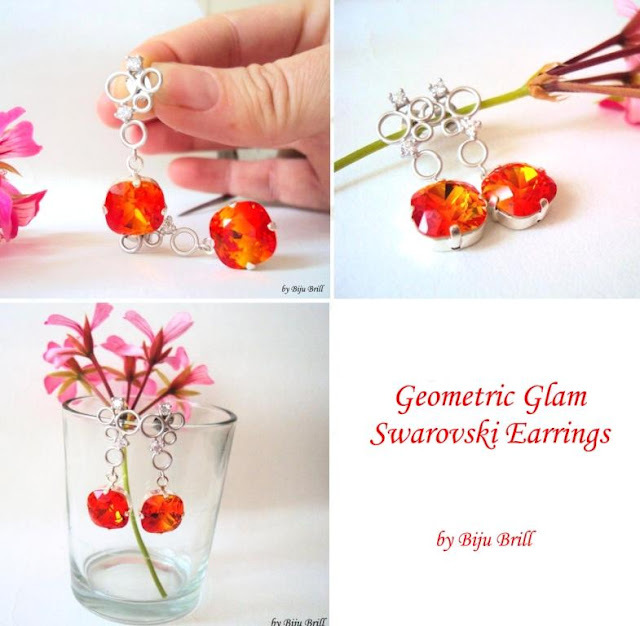 Glam Orange Geometric Swarovski Crystals Earrings - SOLD! Aceastaeste cu adevărato perecheminunatade cercei!Cabochonul pătratSwarovskieste atasat de cerceii in forme geometrice incrustate cu zircon. Culoareacristaleloreste extrem deluminoasaşi atragatoare! Lungime totala ~3.5 cm. This is truly a wonderful pair of earrings! The big Swarovski orange square descends gently from a geometric-shape earring, encrusted with cubic zirconium crystals.The color of the crystals is extremely bright and eye-caching!